Australian diplomat dies after falling 5 stories while playing 'trust game' telling friend to catch him. 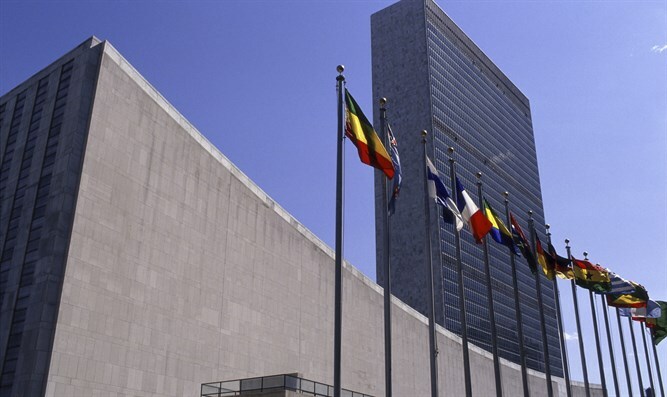 An Australian diplomat at the United Nations fell to his death from his balcony in Manhattan early Wednesday morning, the New York Post reported. Julian Simpson, 30, fell from the seventh floor balcony to a second-floor landing at the Clinton Street building where he lived on the Lower East Side at about 1:35 AM, Eastern Standard Time. Simpson had spent the night drinking and partying with his wife and friends. A source told the Post that Simpson had been playing a "trust game" with one of his friends when he fell. He climbed onto the seventh floor landing and swung a female friend around. The husband of the woman confronted Simpson over the act. “I will prove it that you can trust me. Let’s play the trust game,” Simpson told his friend right before his fall. He sat on the railing, leaned back and told the friend to catch him before he fell. The friend attempted to catch Simpson, but he slipped out of his hands and fell to his death. Simpson was rushed to Mount Sinai Beth Israel hospital, where he was pronounced dead. Investigators said that there is no suspicion of foul play.